A good washing machine is one of those workhorse appliances that keeps a modern household going. It’s also easy to take for granted; as long as it fills, agitates, rinses and spins, it usually goes without a second thought between laundry days. But giving it the occasional makeover can make your laundry room safer and more pleasant while potentially extending your washing machine’s lifespan. If you’ve neglected your washing machine for a while and you only have time to do one task, make it an inspection of its hoses, water connections and valves. Washing machine breakdowns can be expensive and inconvenient, but they simply don’t compare to the potential cost and hassle of dealing with a major water cleanup due to a broken hose. There should be separate water lines — one hot and one cold — running from your laundry room supply valves to your washing machine. There should also be one drain line running into a wastewater drain or basin. Rubber hoses can become cracked and brittle over the years, and this can result in a messy rupture if you move your washing machine or it vibrates out of place. If your hoses look a little worse for wear, it’s worth taking the time to replace them. Because of the vulnerability of rubber hoses, it’s recommended that you replace your washing machine’s water lines with metal braided hoses. Even if your current hoses are in decent shape, this is a simple and inexpensive upgrade that will make your hoses puncture-proof and add a serious layer of protection against accidental flooding. You should also take a moment to close and reopen the valves that control the water supply to your washing machine. There will likely be at least two valves for the hot and cold water lines, and there may be a third master valve a little farther up the line. In some homes, opening and closing these valves may require a wrench. Moving the valves periodically is important because it help prevent them from rusting open, and it’s the only way to be sure you’ll be able to close them in an emergency. All appliances that use water have some level of risk for musty, mildewy odors. In the laundry room, this is most often an issue with top-loading washers, which can develop the smell if the lid is left closed after a wash cycle. For this reason, it’s wise to leave the lid open when the machine is not in use, especially if your laundry room tends to be humid. If musty odors do develop, a cheap and effective fix is to clean your washing machine with white vinegar. In a top loader, just add about four cups of white vinegar to an empty wash cycle set to the hottest temperature, the largest capacity and the longest cycle. Once the cycle begins, open the lid for about an hour to let the vinegar penetrate the mildew buildup, then close the lid so the cycle can finish. In a front-loader, completely fill the bleach dispenser with white vinegar and select the hottest water setting and an extra rinse, if applicable. After running a cycle with vinegar on either machine, leave the lid open to allow the vinegar smell to dissipate. Even when they’re not causing unpleasant odors, various types of buildup can form inside your machine and affect performance, efficiency and clothing texture. This is especially true of built-in dispensers for detergent, fabric softener and other liquids. These should be thoroughly cleaned at least once per month. You should also occasionally wipe down the inner walls of the drum with all-purpose cleaner, and carefully clean the rubber gasket around the door. Cotton swabs are good for this job, because they can clean deep into the gasket’s crevice to clear out mildew-causing buildup. If your washing machine isn’t level, the drum may wobble during spin cycles and cause gradual, unseen damage. 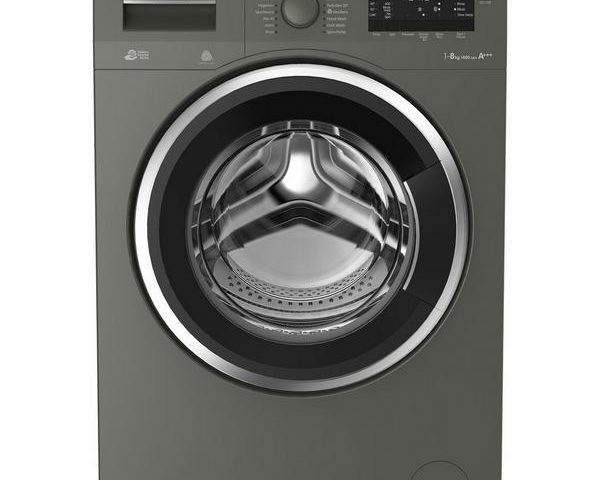 Fortunately, leveling a washing machine is easy, since almost all models have adjustable legs that can be lengthened or shortened by turning them. Use a bubble level on your washer today to see if it’s spinning as it should. When you want to give your washing machine a little TLC, those are the basics — but there might be more to your model. Be sure to read your machine’s manual with an eye toward special maintenance tasks that you might not be aware of. And if you need help with related plumbing needs like stuck valves, broken connections or worn-out hoses, you can always count on the plumbers at Reasonable Rooter to help you out..